IT is often asymptomatic. It can remain undetected until patient develops symptomatic pulmonary embolus [PE]. A clot that blocks the blood supply to the lungs is called a pulmonary embolism, predominantly in the legs. This potentially life-threatening event then prompts a search for source of the embolus. The often-asymptomatic nature of DVT is one of the reasons why, in patients at high risk (those undergoing major orthopedic procedures involving hip or knee), optimal medical care involves thromboprophylaxis. It refers to a blood clot that develops inside a larger vein usually deep within the lower leg or thigh more particularly often in calf veins including the femoral, popliteal, and the iliofemoral vein that grows in the direction of venous flow towards the heart. The danger is that part of the clot can break off and travel through the bloodstream, where it can lodge in the lungs causing a blockage in blood flow, or organ damage, or even death cause. DVT often develops in the calf veins and ‘grows’ in the direction of venous flow, towards the heart. Occasionally the veins of the arm are too affected, as after central venous catheter placement. Engorged superficial veins happen in area of blood clot that is usually in legs. A severe form is characterized by an acute and almost total venous occlusion of the entire extremity outflow, including the iliac and femoral veins. The leg is usually painful, discoloration, cyanosed (blue from lack of oxygen), ulcers and edematous (filled with fluid), which may result in venous gangrene. In pulmonary embolism symptoms include trouble breathing, low blood pressure, fainting, faster heart rate, chest pain, and coughing up blood. Further, anything that damages the inner lining of vein may further cause of vein thrombosis. Blood that is thick or flows too slowly is more likely to form a clot, especially in a vein that is already damaged. Other things that raise the risk for blood clotting include genetic disorders, hormone changes, and sitting for long periods of time (such as when flying). A person with a higher risk includes: who have cancer, surgery or extended period of bed rest. The elderly, smokers, long-distance travelers or those who are overweight or obese may be affected. Warning signs of internal bleeding in the belly include pain; vomit that is red or looks like coffee grounds, and bright red or black stools. Bleeding in the brain can cause severe headache or symptoms of stroke such as vision changes, abnormal movement, and confusion. To reduce swelling and discomfort, one should try to keep the affected leg raised when possible, plus recommended support to tie rubber band on middle toes of both the extremities to apply pressure to the blood in the legs to keeping out of pooling and clotting. This process reduces swelling and help relieve discomfort in a leg where a clot has already formed. Walking and calf exercises reduce venous stasis because leg muscle contractions compress the veins and pump blood up towards the heart. Being active increases blood flow, keeping out it from pooling and clotting. Exercising the lower leg muscles in particular can help prevent DVT. When you’re not active at your work place, better to take breaks to stretch your legs. Get up and walk around if possible. Frequent exercise also reduces the risk of obesity, which contributes to DVT risk overcome. If swelling is a problem, try a low-salt diet to cut water retention. Whenever there is a possibility, prop up legs with a pillow or recliner so they rest at above the level of heart. 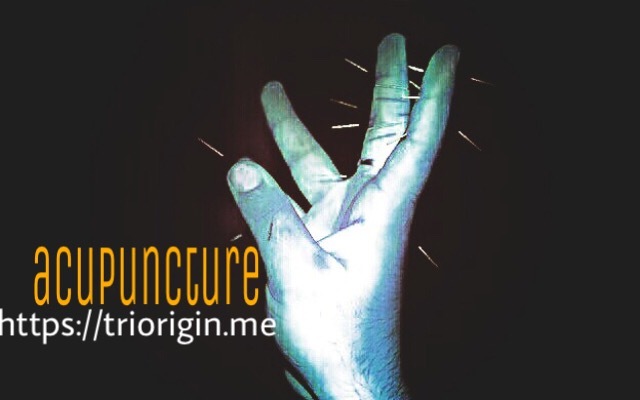 TriOrigin acupuncture itself is a powerful tool to aid in strengthening the circulation system, blood flow ‘oxygen’ levels in the veins. One may get good results through the concept even by applying colors, seeds. One can also tie the metacarpophalangeal joint of middle finger with rubber. The method is helpful; the remission of the disease can be achieved. Of course there is no side effect at all as treatment concept is only on the hand.